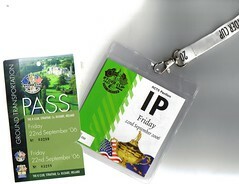 I have a ticket and pass for The Ryder Cup today. My husband was invited first, but has no interest in golf! So, he handed it to me and said, “Go!”. What he neglected to remember, was the children…. I have my ‘Adopted’ one from 8.15am until 5.50pm, not mention the school runs later! Then, Drama class followed by Irish Dancing…..
“Is he doing this on purpose to torture me?” I ask myself. The event is being held at the K Club in Straffan which is 15 minutes from my house. I am not a golf fan by any means, but these tickets are gold dust, they really are. This ticket is a ‘Full Corporate Package’, which means, Champagne all day, Morning Coffee with Danish pastries and muffins, a five-course silver service lunch with a selection of wines. Complimentary bar and Gourmet Afternoon Tea. So, whatever the outcome of the tournament, the experience alone will be very memorable. However, it’s not to be. So I will keep the ticket and I.P. for prosperity.